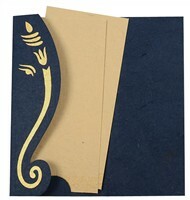 D-5715, Blue Color, Handmade Paper, Hindu Cards. 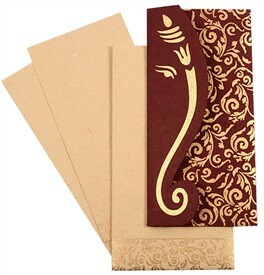 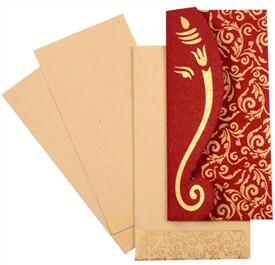 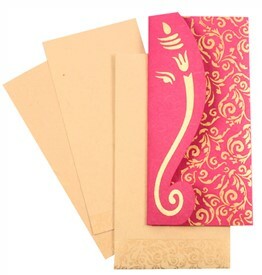 The left fold of this 3-fold card has a large Ganeshji in Gold. The right side has traditional floral pattern printed in gold. 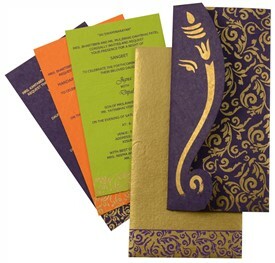 The inserts are tucked nicely in the card with a slit in the center fold. 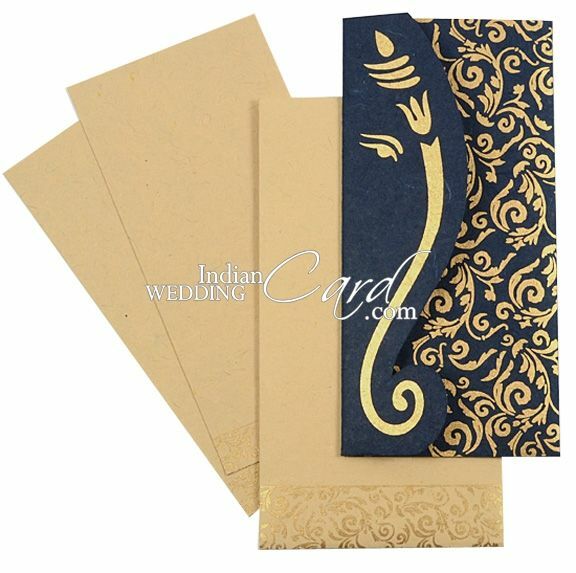 Both insert and envelope has border design. 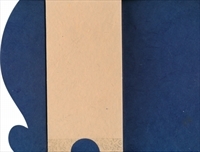 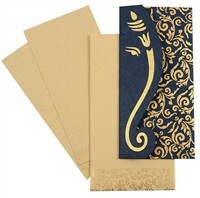 Blue color silk handmade paper (250gsm) for 3-fold card. 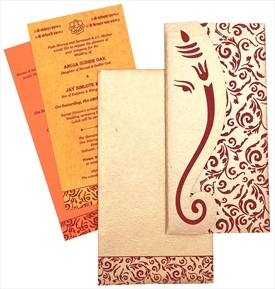 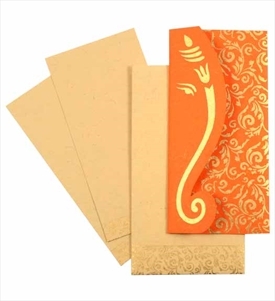 2 inserts and mailing envelope in jute mottled beige color handmade paper (250gsm).